The Mac Miller and Sky Ferreira cover stories are chilling online, with more from our 87th issue soon to come. 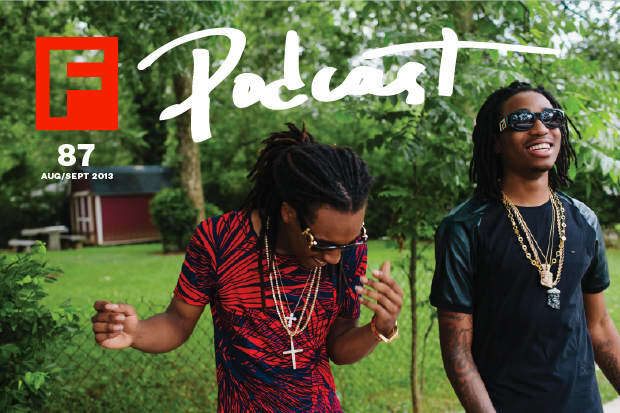 Celebrate it all and sample tunes covered in the magazine with our The FADER #87 podcast. Download the mix below, featuring Migos, Omar Souleyman, Mø, Julianna Barwick and more, or buy songs individually on the MyMusicRX app. A percentage of each iTunes purchase made through MyMusicRX benefits the Children’s Cancer Association. Subscribe to our podcast via your favorite RSS reader to get them all. Sir Michael Rocks, "Hold On Hold Up"
Pure Bathing Culture, "Dream the Dare"
Steve Summers, "Call of the Wild"